We meet again! Thank you for taking the time to come find me on the web. 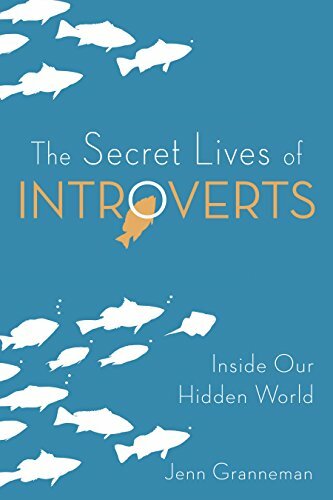 I hope The Secret Lives of Introverts was helpful to you in some way. I feel like we have been on a journey, together. On this page, you will find more resources to help you continue your journey of understanding and embracing your introversion. If you’d like to send me a message, email me at jenn@introvertdear.com. I get many messages each day, so unfortunately, I may not be able to respond to each one, but know that I read and appreciate each one. If you’d like to get personal updates from me, you can follow me on Facebook. Follow Introvert, Dear on Facebook, Twitter, Instagram, Pinterest, or Tumblr. Sign up for Introvert, Dear’s email newsletters. Join Introvert, Dear’s Facebook group. If my book helped you in some way, would you tell one other person about it? I’m always hoping new people will discover my book and hear my message that it’s okay to be an introvert. Additional copies of the book can be purchased from Amazon, Barnes and Noble, and IndieBound, as well as from most bookstores in the U.S.